Spiral Mixer Bowl - Bowl Lifts - Lifting & Pouring - Savage Bros. 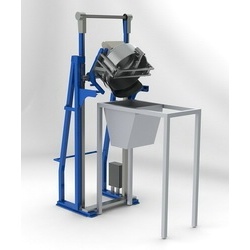 Designed to handle the large spiral mixer bowls with integrated trolly - up to 1600 lb / 725 kg. Fail-safe hydraulic system; Fixed-in-place with preset vertical lift and pour to match your hopper. Operator held pendant station to control.